Sourcing and procurement teams don’t need to master CAD software in order to benefit from using Sourcing & Standardization Intelligence applications to associate business information (extracting from purchase orders part provider names, location, price, quantity) with engineering information (shape signature, feature recognition, technological properties) to make smarter, more advantageous buying decisions. Sourcing can identify similar parts the company has allocated its budget to, and determine whether its supplier strategy is optimized and the pricing policy uniform by geography, and take corrective actions, if any (OnePart Reduce). 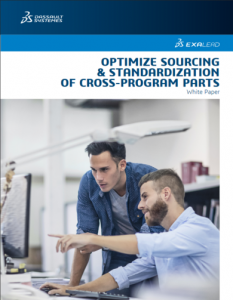 Purchasing can use the machine-learning-based clustering feature to quickly and easily group similar parts on shape or on material or manufacturing location to negotiate favorable bulk pricing (OnePart Reduce). 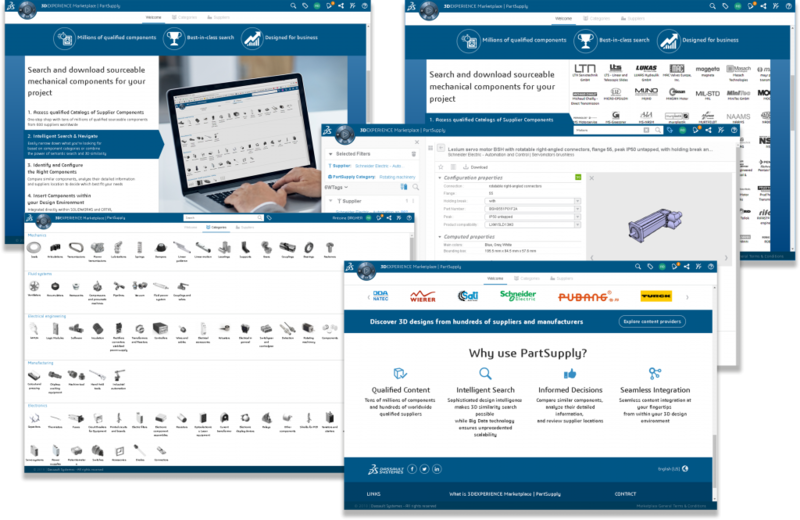 Click-and-go shape search can help rapidly retrieve matching parts from past or parallel ongoing projects and make fast and fully informed make, reuse or buy decisions (OnePart Reuse). Comparative data on tens of millions of catalogued parts from more than 600 suppliers can also be searched to evaluate technical characteristics, performance and quality, and quickly secure vendors able to deliver (3DEXPERIENCE Marketplace PartSupply). If the requested part cannot be found, sourcing and procurement managers can find a manufacturing service provider. 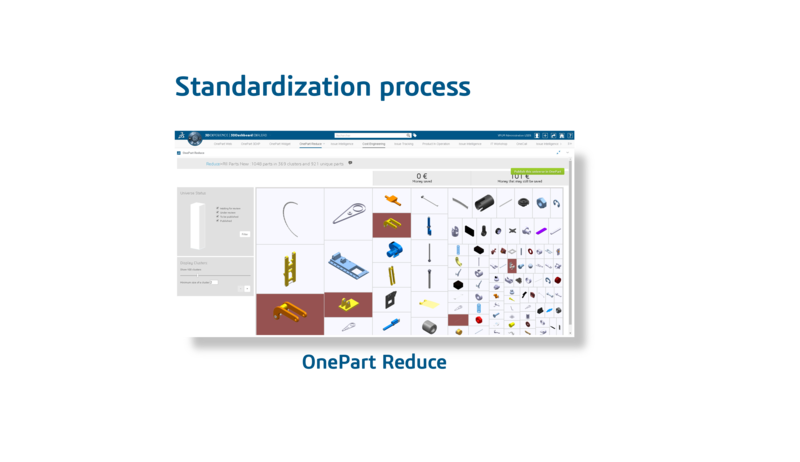 Thus, they can manage in one user-friendly place all the transactions exchanges needed to fill simply and efficiently their manufacturing part orders (3DEXPERIENCE Marketplace Make).